This year, hospitals are controlling antibiotic resistant bacteria only with aggressive strategies, like testing and sorting patients, and constantly looking for holes in their practices. They have to, or else new antibiotic resistant bacteria will quickly crop up thanks to some of the worst offenders, like CRE, who shares the genes to fight antibiotics freely with other bacteria. When antibiotic resistance appears, they find 1 in 10 other patients to be silent carriers. While hospitals and nursing homes are some of the riskiest sources for antibiotic resistance, there are plenty in day to day life. 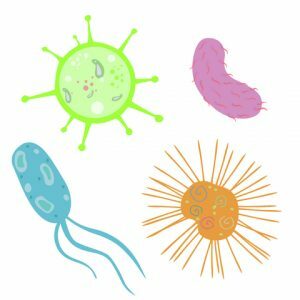 Many people are still fighting viral infections (like sinus infections) with antibiotics, and meat raised on antibiotics brings antibiotic resistant bacteria into your home (so clean well). You can choose differently. Limit use of antibiotics to when you really need it—infections your body can’t fight, that are confirmed to be bacterial. Ear infections can hurt, and it can be hard to miss work, but with normal support (cleaning, rest, supervising the healing) and immune support, the body can fight off most common infections. Also beware preventative prescriptions of antibiotics from hospitals, they may be necessary, but you need to be aware a side-effect is a higher risk of becoming a silent carrier of antibiotic resistant bacteria (you may not have an infection, but you could be spreading the genes around). Communicate the risk to other doctors, and clean minor wounds more thoroughly than normal (a silent infection can turn a scraped knee into a big deal). The good news is researchers are working hard to come up with alternative lines of antibiotics, and there are a few in development. But they will only succeed if we work together to use them responsibly. Make sure you’re cleaning wounds, resting, and monitoring for worsening symptoms. Self-care can also include supporting your immune system with colloidal silver.